Gary Guglielmello took an unusual path after graduating from Nichols College. Armed with an accounting degree, he spent three years in corporate accounting, then transitioned into the small business world for five years. That experience taught him that while service is important for business success, customer relationships build long-term value. 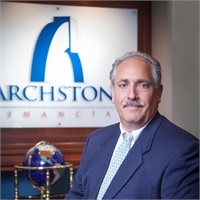 There’s always an opportunity to do a little better financially, and Gary enjoys working closely with his clients to help them reach their goals and realize their dreams. His coaster collection offers a quick hint that he loves to travel with his wife and (schedules permitting) their three grown children. Gary continues to work his way through a bucket list of destinations. He’s very involved with his church and loves to be active. Gary still enjoys playing basketball, tries to improve his golf game and attends many local and Boston sporting events.